President Donald Trump on Saturday broke his brief silence to lambaste Democrats after yesterday’s Senate Judiciary Committee for their “vicious” questioning of Acting Attorney General Matt Whitaker. Friday’s frustrating six-hour hearing between the Senate Judiciary Committee and Whitaker saw the acting attorney general grilled on everything from the Special Counsel’s investigation, to sanctuary cities, and boarder security, with very little questions yielding a receptive answer. Democratic lawmakers seemed particularly focused however on why Whitaker, despite recommendation’s by ethics officials, would decide not to recuse himself from the Mueller investigation looking into possible ties between the Trump campaign and Russian meddling during the 2016 election. Questioners were particularly interested in hearing how exactly Whitaker managed to bag the role of acting attorney general and why the president would decide to do this despite other more suitable candidates. Senate Majority Leader Mitch McConnell (R-Ky.) echoed this idea during the government shutdown, accusing Democrats of engaging in a “partisan tantrum” for not granting the president his $5.7 billion for an archaic and unpopular boarder wall with Mexico. Rep. Doug Collins (R-Ga.), told the acting attorney general that he was just a pawn in a Democratic circus. “I’m thinking about maybe we should just set up a popcorn machine in the back, because that’s what this is becoming. It’s becoming a show,” Collins told Whitaker. Democrats understand that they walk a fine-line between oversight and being mistaken as sadists, in the face of the numerous investigation’s into the president. 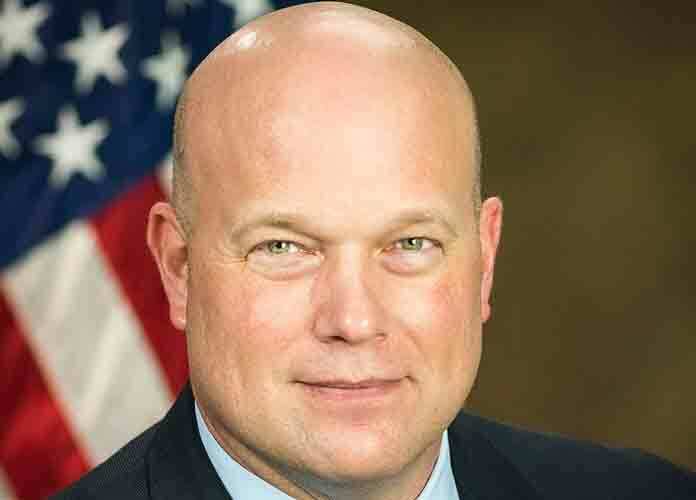 Whitaker is expected to appear again for questioning in front of the committee for his combative responses to lawmakers in a spectacle that looked increasingly like it was meant for Trump, who frequently tunes into these hearings. Matt Whitaker is astonishingly disrespectful. He’s also way out of his league. Rep. Sheila Jackson Lee just put him in his place.